FIREWORKS are being blamed for a fire in Yorba Linda on Wednesday that damaged three buildings and threatened some residential streets (OCFA photo). 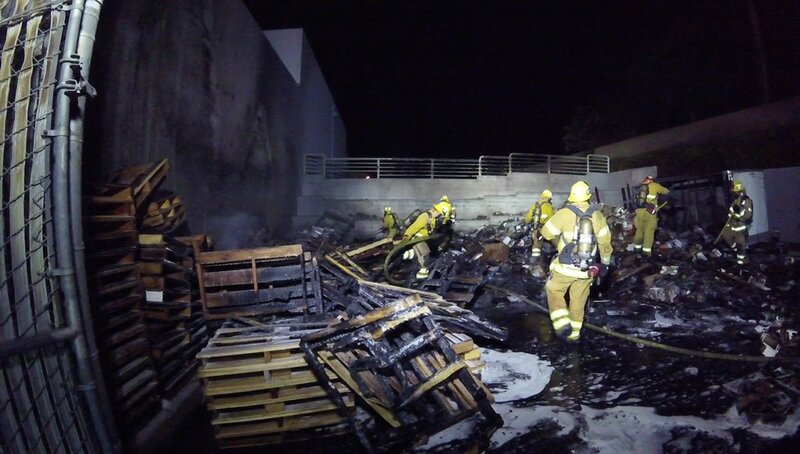 Fireworks are being blamed for a structure fire which heavily damaged three industrial units in Yorba Linda on Wednesday. According to the Orange County Fire Authority, the blaze was in the 3000 block of Prospect Ave., east of Rose Drive. Units from the OCFA as well as Brea and Fullerton departments were involved. People from two nearby residential streets were evacuated, but with additional resources the firefighters were able to keep the fire from spreading into that area, and Orange County Sheriff’s deputies allowed people to return to their homes. All fireworks are illegal in Yorba Linda.